Phlebotomists use their non-degree training to draw blood from patients, usually for lab testing. A great phlebotomist helps nervous patients feel at ease and is able to quickly locate the best veins for efficient blood draws. In some medical settings, patients may only see a phlebotomist, meaning the phlebotomist must provide outstanding service, so the patient reports a great experience. Accurate phlebotomy work is essential to ensure patients get the right diagnoses and treatments. Phlebotomists must carefully identify patients, label bloodwork and appropriately fil out required paperwork. They must also understand what is required for each ordered blood test to ensure patients don’t have to return for secondary blood draws and receive accurate results the first time. Phlebotomists work in doctors’ offices, hospitals, medical labs and blood donor centers. Phlebotomists are part of the medical team and often work full-time. Phlebotomists who work in hospitals may have to work nights or weekends while phlebotomists in labs or medical offices may work a more regular 8 am to 5 pm shift. Healthcare work often has strong job security and good benefits. Most phlebotomists only need a high school degree plus a certificate from an inexpensive phlebotomy program that may take less than a year to achieve. You will need to achieve certification by taking an exam to land a job. 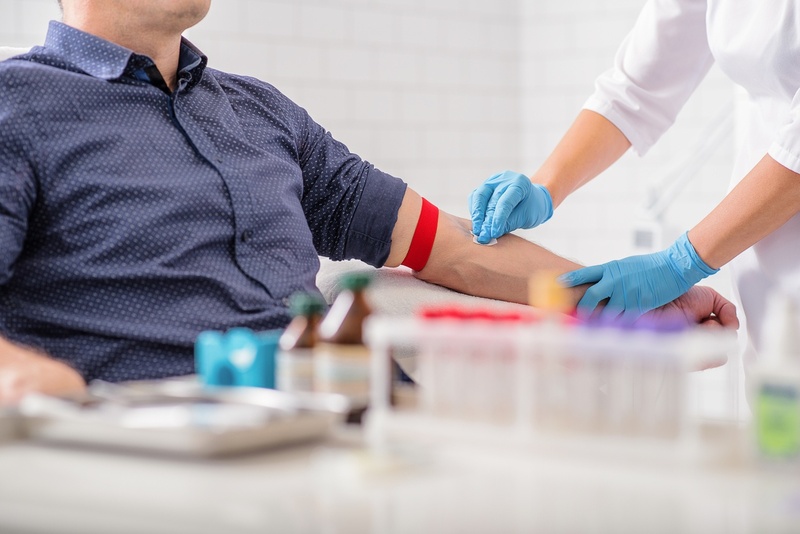 Phlebotomy is a vital part of any healthcare practice, whether it is diagnosing an illness, performing screenings for cholesterol or blood sugar or monitoring a disease. A great phlebotomist can be the difference between a bad patient experience and good patient experience, helping patients feel comfortable while getting important care. According to the U.S. Bureau of Labor Statistics, job opportunities for phlebotomists will grow by 25 percent between 2014 and 2024, much faster than other careers. The government estimates over 28,000 job opportunities will open up during those ten years across the country. Currently working phlebotomists will experience increased job security. Job opportunities for phlebotomists are growing in every medical setting. You may be able to find work in almost any town in the United States, in settings such as blood banks or donor centers, hospitals and outpatient medical offices. These different settings will offer different hours and pay levels, helping you find the phlebotomy position that’s right for you. As an entry-level healthcare profession, phlebotomy helps you quickly train for and land a secure position in the medical field. To start your new career, learn more about phlebotomist training at Portland Community College.